Sketches is a partnership between LeadsOnline and ID Forensic Art, a team of veteran police officers who are also experienced forensic artists. Greg Bean is a 30-year police veteran. He spent the majority of his career working for the Bellevue, Washington Police Department. Greg retired in 2014 after serving his last 21 years as a detective. 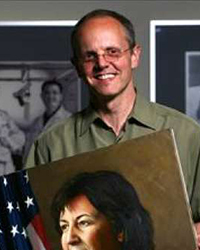 In addition to his investigative responsibilities, Greg spent 15 years training and working as a forensic artist. He also has a BFA in Illustration from Brigham Young University. His composite drawings have helped solve crimes for dozens of police departments nationwide. Natalie was a police officer at Kent Police Department in Washington for ten years, mainly in patrol, but also with the Puget Sound Violent Crimes Task Force, a joint task force with the FBI investigating bank robberies in the Seattle area. 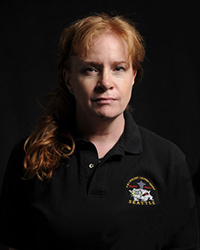 She has created successful composites for police agencies nationwide and has an ongoing relationship with the King County Medical Examiner's Office in Seattle, creating reconstructions of unidentified skeletal remains for cases in Washington state. Digital Forensic Art Techniques illustrates hands-on techniques to digitally create forensic art for police and investigative purposes. Coverage focuses specifically on how to utilize the software to create realistic human likenesses, including composites of suspects and drawings of persons in unidentified remains cases. Copyright © LeadsOnline LLC. All Rights Reserved.